The Portuguese-style cobblestone pavement, seen in cities around the world, was the topic of a series of events last week, including a book launch and an exhibition of photographs, paintings and illustrations. 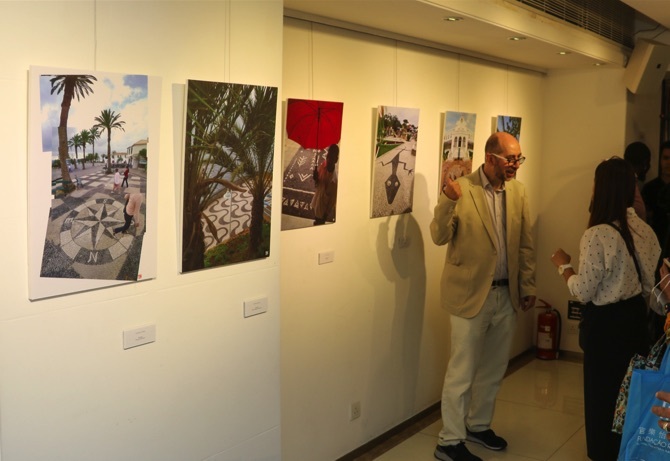 The event was inaugurated on Thursday at the Rui Cunha Foundation Gallery, which also hosted a talk with the artists on the origins, artistic aspects and special characteristics of this cobblestone. 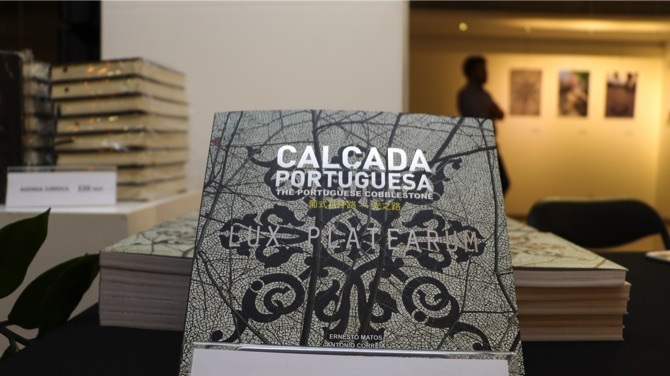 The book, titled “Calçada Portuguesa (Portuguese Cobblestone) – Lux Platearum” comprises photographs of drawings and graphic applications of the Portuguese cobblestone by designer and photographer Ernesto Matos. These are accompanied by explanations in three languages (Portuguese, Chinese and English) and the poetry of António Correia, a well-known lawyer who worked in Macau for many years. As Matos explained when addressing the topic of “The Portuguese Cobblestone in the World,” the traditional-style pavement is the perfect match for poetry, since it is a form of expressing thoughts, ideas and feelings that resemble the poetic form. For him, it is a little more than that. Matos shared that the Portuguese cobblestone is a “way to transmit the values of a certain people [the Portuguese] through the stone,” a legacy that he considers to be of great importance, although it is often overlooked. “When we do one of these simple drawings (just in black in white) with the stones, aren’t we trying to pass our cultural values? What is inside of us?” he asked the audience, which included professionals from multiple industries such as architecture and design. The book launch follows Matos’ tour of more than 17 countries – which took him over a decade to complete – to learn why Portuguese cobblestone is still in use around the world. He said this was not just any regular task but a huge investment to bring the traditional Portuguese paving streets method to remote parts of the world, which were devoid of the raw materials and labor skills necessary to complete such a task. He continued that the explanation lies in the “way the Portuguese are” and compared it to the Portuguese tradition of always receiving guests by rolling out carpets and rugs. In the photographer’s opinion, that is what the Portuguese pavement represents: “A way to tell our guests they are welcome [to visit or walk by] in a certain area,” a concept that was also followed in Macau. “Contrary to other places in the world like London and Paris – which certainly have their beautiful aspects – in places where Portuguese have a large tradition and history, we don’t walk over grey floors, but instead over geological materials of great value,” Matos reaffirmed. “If we want to bring the Portuguese cobblestone to [UNESCO] World Heritage level, we need to do things the right way,” he warned. The painter tried to combine Chinese and Portuguese artwork in several pieces, such as by matching the famous Chinese “Red Packets” with Portuguese stone paving.